The State and the police are traditionally seen as closely connected phenomena. Today, however, rapid EU legal developments mean that European police forces are no longer tied to a specific national legal context or a specific territory in the way they used to be. Norway is not a member of the EU. Or is it? 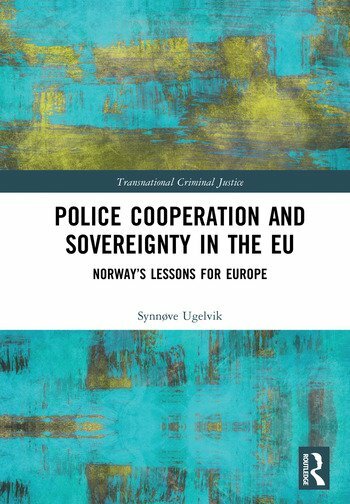 This book shows that although it lacks formal membership status, Norway has become part of almost all of the major EU police cooperation measures and agreements. Not only does this mean that foreign police forces may operate on Norwegian territory and vice versa, but in addition, a wide range of EU regulations and cooperation instruments are incorporated directly into Norwegian law. With the increased focus on international and transnational police cooperation in mind, what does it mean to be a sovereign state in Europe today? This book combines strong legal and theoretical analyses of a specific national system to show how this country is tied to and dependent on a wider international and supranational system of legal rules, technologies and concepts. This makes the book relevant not only for the Norwegian prosecution and police authorities, but also for readers outside Norway interested in exploring how and whether the police as a modern state function has changed through the implementation of international cross-border cooperation mechanisms. 2.1 POLICE WORK IN NORWAY: WHAT SHOULD THE POLICE DO, AND HOW SHOULD THEY DO IT? 6 NORWAY – INSIDE OR OUTSIDE? 6.3 FROM 'NO' TO 'YES, PLEASE': WHAT CHANGED? 15.2 THE CONCEPTS OF THE POLICE ACT SECTION 1: WHAT DOES ‘STATE’ AND ‘COMMUNITY’ MEAN? 16.6 REPORTS, OPINIONS, POLICY PAPERS, ETC. Synnøve Ugelvik is Associate Professor at the Department of Public and International Law at the University of Oslo. She holds a PhD in Law from the University of Oslo and has previously worked as a deputy judge and public prosecutor at the Norwegian Director of Public Prosecutions Office. Her research interests include penal law, criminal procedural law, European police cooperation and police history. She is co-editor of Justice and Security in the 21st Century: Rights, Risks and the Rule of Law. Her research has appeared in international and Scandinavian journals such as the European Journal of Criminology, European Journal of Policing Studies and Retfærd.